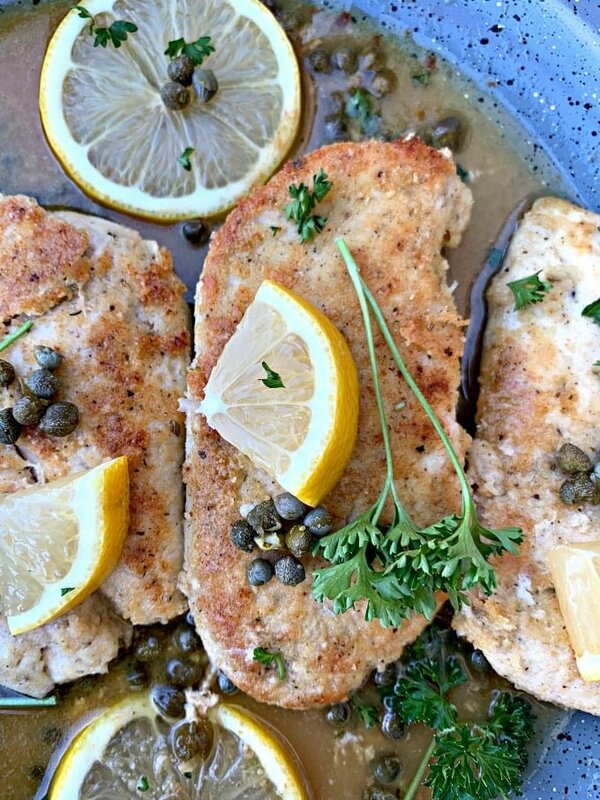 Keto Low-Carb Flourless Lemon Chicken Piccata is a quick recipe that uses almond flour, chicken cutlets, capers, and fresh lemon to make the perfect weeknight meal prep dinner! 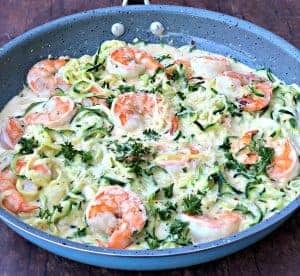 This Italian savory dish is gluten-free and made keto-style! Add in artichokes if you wish! 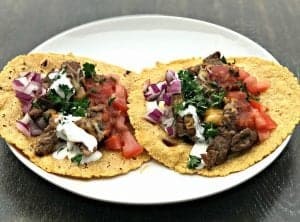 Looking for a meal prep friendly dish that is also great for weeknight dinners? 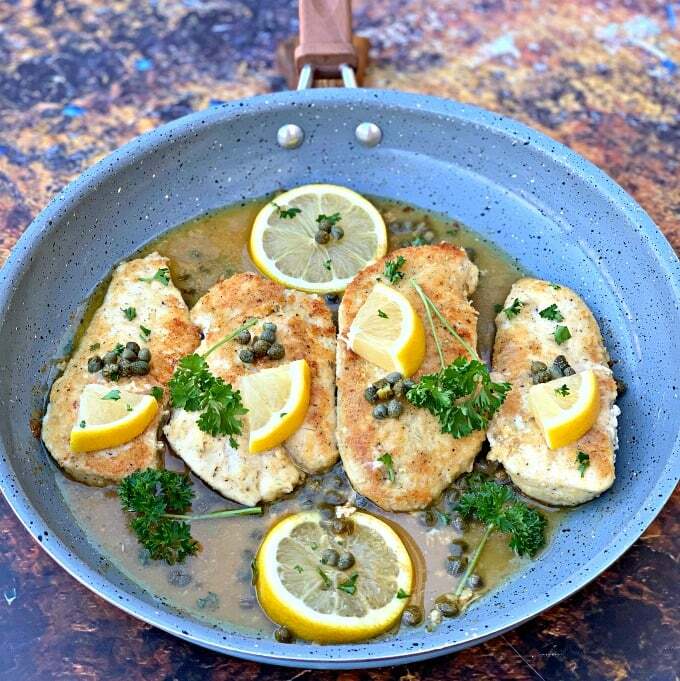 This keto lemon chicken piccata is the perfect dish! I like to serve chicken breasts drenched in a sauce because it makes a great meal to reheat the next day. 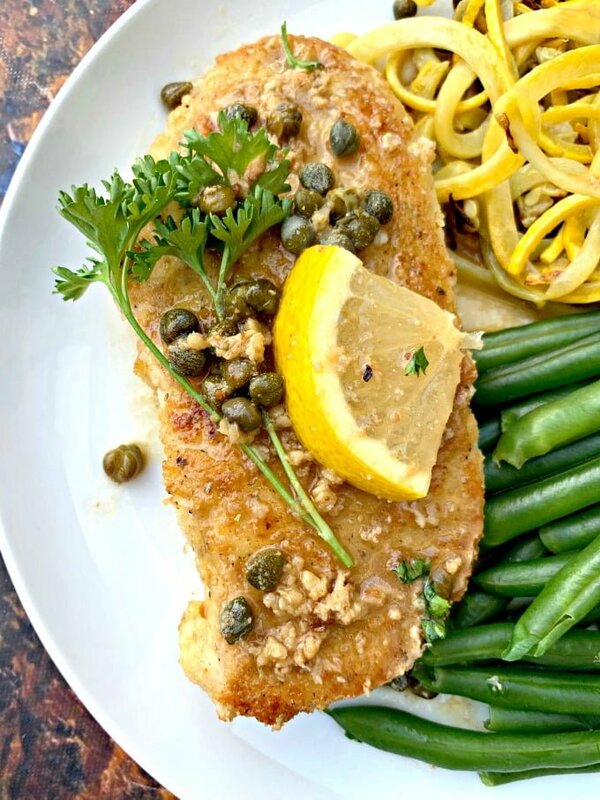 Chicken piccata is a dish that uses sauteed chicken that is served with lemon juice, butter, and capers. I also like to add a little dry, white wine for additional flavor. This is optional. 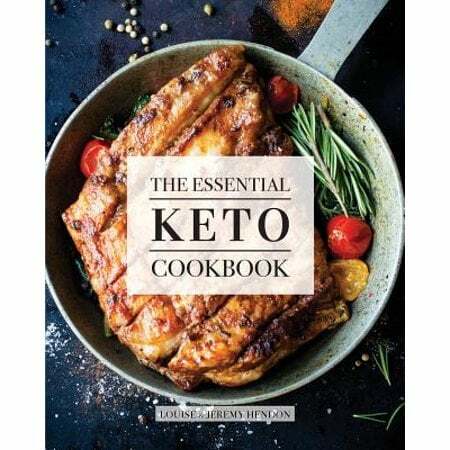 How Do You Make Keto Lemon Chicken Picatta? 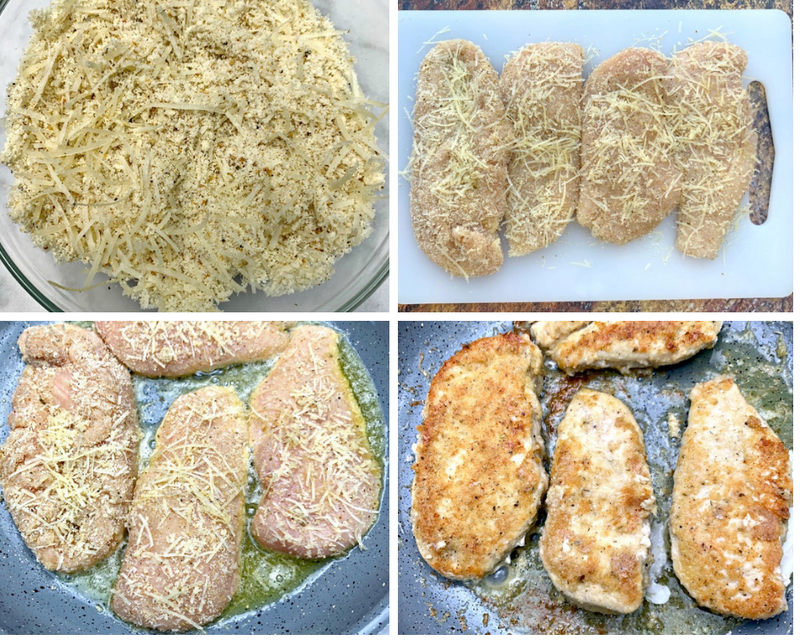 Gather 2 chicken breasts and slice them in half to make cutlets. I like to bread the chicken using almond flour and grated parmesan. Very finely grated parmesan will work best. Heat a skillet with oil and butter and fry the chicken. Remove the chicken. 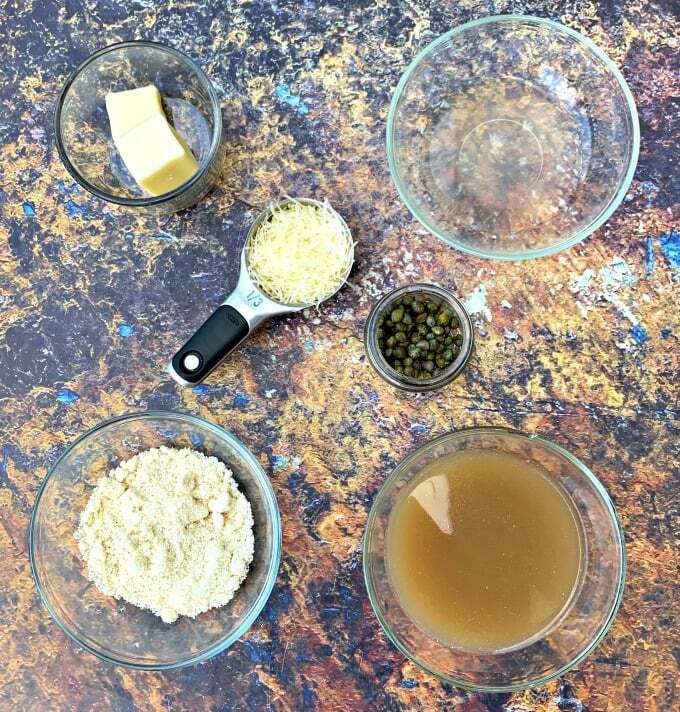 Add additional butter to the pan with capers, garlic, and white wine. Simmer. Serve the chicken alongside the sauce. Capers are flower buds that grow on a plant. They are both sweet and salty and pack soooooo much flavor! They are definitely the star of this dish (and maybe the white wine, too). 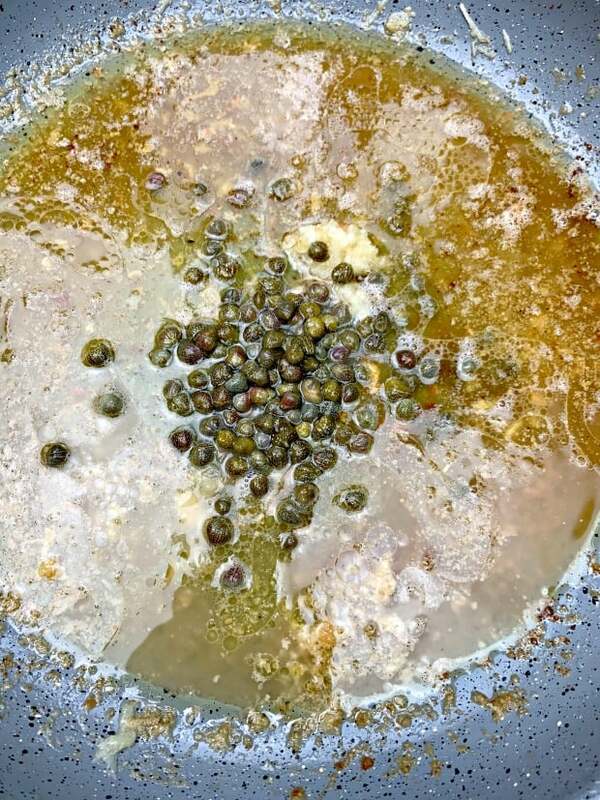 You can read more about What Capers Are here. 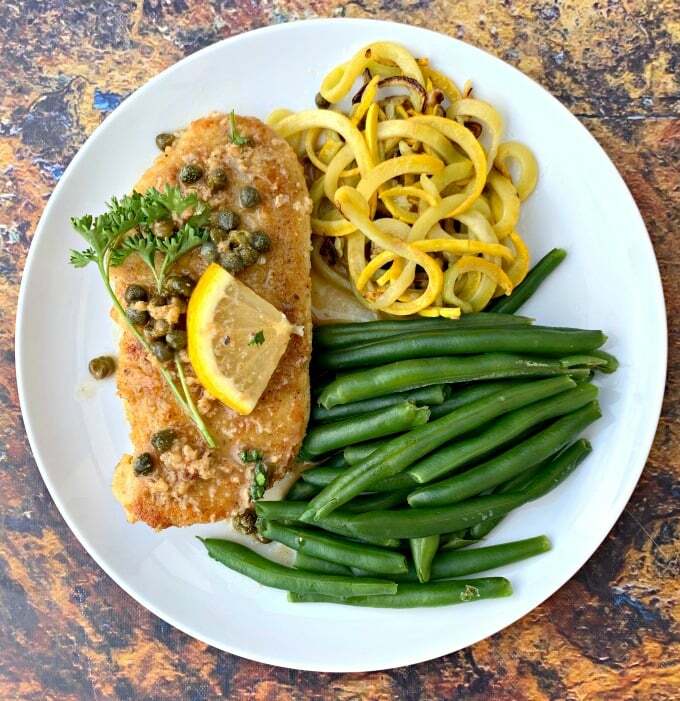 You can find capers in the salad dressing or pickles aisle of the grocery store. You can also grab them here on Amazon. How Many Carbs are in Capers? There is less than a gram of carbs per serving. 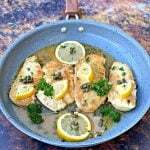 Is Keto Lemon Chicken Piccata Freezer Friendly? Yes! Feel free to store the dish (tightly sealed). Defrost before reheating. 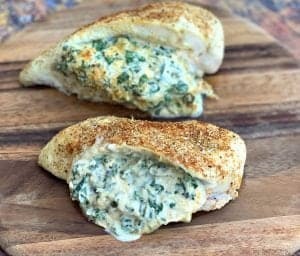 Combine the almond flour, grated parmesan, chicken seasoning, and salt and pepper in a bowl large enough to dredge the chicken. Drizzle one tablespoon of olive oil over both sides of the chicken. Dredge the chicken in the almond flour mixture. Heat a skillet on medium-high heat. Add 1 tablespoon of olive oil and 1 tablespoon of butter to the pan. Add the chicken to the pan. Fry both sides of the chicken until each side has browned and the chicken has reached an internal temperature of 165 degrees. About 3-4 minutes on each side. Add 3 tablespoons of butter to the pan with the garlic, still on medium-high heat. Allow the butter to melt and become brown. Deglaze the pan by adding the chicken broth, lemon juice, and capers, and by scraping up the brown bits that have formed in the pan (there's so much flavor here). Once the sauce boils, adjust the temperature to medium-low and allow the sauce to simmer for 3-4 minutes. The sauce should thicken some. Return the chicken to the pan. Sprinkle with parsley. In the photos for this recipe, I used shredded parmesan. I believe finely grated works best. 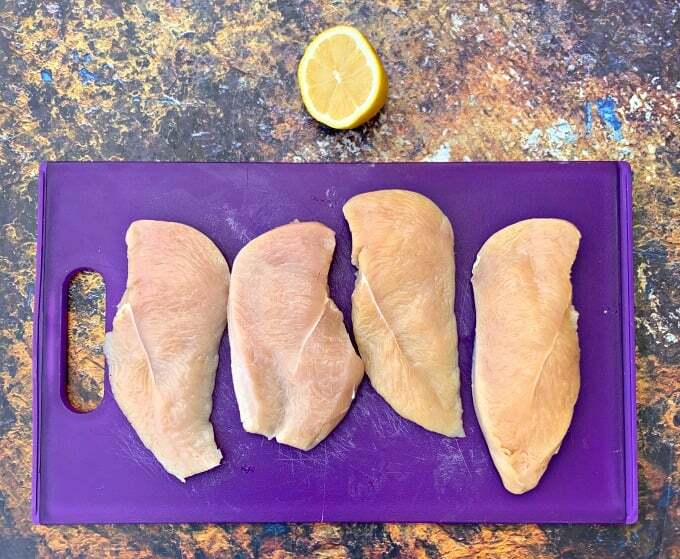 If you would like to reduce the calories in this dish you can use less butter and omit the olive oil that is coated on the chicken before dredging. Using the olive oil works better to adhere the chicken in my opinion. If you would like more sauce in your dish, add more chicken broth and/or white wine. 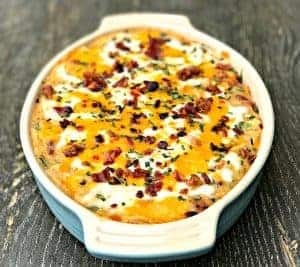 Such an easy, delicious recipe! 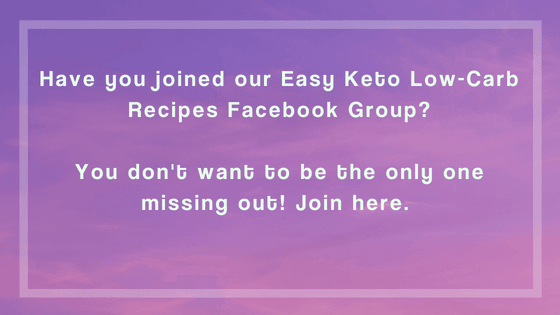 Your low carb recipe is perfect!! !